European company JZ Microphones is amongst many manufacturers that offer a modern take on vintage sound. Their Vintage 11 (V11) is said to produce very smooth sounding top end, and in theory, should be very good for voice-over work. But the concept of “modern vintage” still sounds a bit vague and lacking explanation to some. Needless to say, we got our hands on one of these mics to see what it does. When it comes to striking visual design characteristic of JZ Microphones, the V11 is no exception. This thing looks like it belongs in the interior of an expensive luxury car, perhaps as an ashtray or a compartment for your diamond encrusted smartphone. 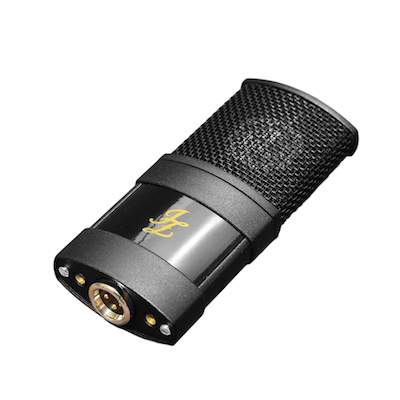 The V11 is a high-performance cardioid condenser microphone with a one-inch gold sputtered capsule (JZ Microphones patented GDC capsule making technology). JZ Microphones claims that while the microphone is quite versatile it works best on acoustic guitar, vocals, and wind instruments. The frequency graph of V11 shows a noticeable bump in the lower end and suggests it is designed to deliver smooth, rich, and warm sounds. The V11 has a large diaphragm 27 mm (1,06") capsule, extra low self-noise level (6,5 dB (A)) maximum sound pressure level (SPL) of 134,5 dB, class-A discrete electronics, and gold-plated output contacts. It comes with an external specially designed shock-mount and, just like all other mics that JZ Microphones produces, is handcrafted. Opinions about microphones are subjective, but it has to be mentioned that V11 has caught the attention of award-winning producer Rafa Sardina (Lady Gaga, Beyoncé, Stevie Wonder). Sardina has repeatedly stated that he loves many JZ Microphones products and judging from the interviews, the V11 is one of his favorites. Other “Vintage” series mics (V47, V67) are supposedly made to bring back the sound of all time classics but with the V11 (11 stands for 2011 – the year in which the mic was launched) the company’s founder and designer Juris Zarins hoped to create a microphone that would give you a vintage vibe, but with quite a bit of modern mic-making tradition present in design and during production. 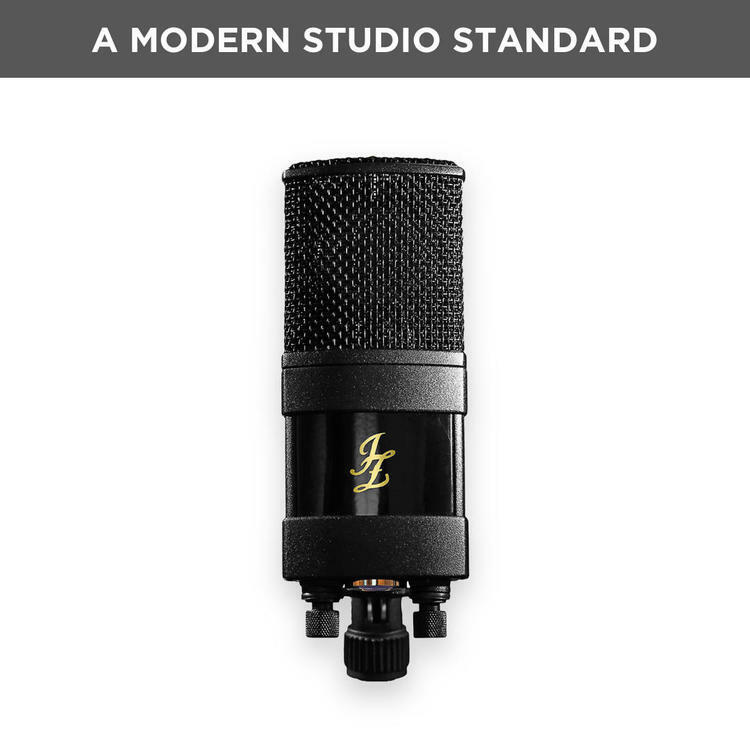 The sound, however, shows why JZ Microphones is confident enough to call it the “next classic” on more than one occasion. It proved to be a true gem when it came to spoken word performances. This microphone doesn’t look the part, but it is indeed an excellent tool for radio and performs exceptionally well as a voiceover microphone. Minimal to no EQ intervention is needed, in my opinion. When it comes to singing, it is quite warm yet does not lose clarity. Also, if the bass lift is not welcome at all, you can deal with it easily. The built-in shock-mount is very simple, easy to use, and actually works. The V11’s price tag makes it fair to compare it to all other work-horses that are used for spoken word and broadcasting, and the V11 stands out with a more refined, classy sound. You can just feel that it wasn’t designed as a budget microphone meant to overwhelm the market. They’ve obviously put serious thought into it. I can’t find any problems with construction or sound. I’m going to guess that the reason for this is that the company mainly produces expensive “premium” class microphones and hasn’t really optimized the V11’s production to fit the mid-range price tag. I am pretty sure that most if not all of the high-grade components they use for their most expensive mics are in the V11 as well. After all, are there many other mid-priced microphones that have impressed the likes of Rafa Sardina? All in all, what strikes me is the big picture. From what’s written in brochures, the big claims and peculiar marketing strategy might make some buyers confused. I’m still not sure why the whole “modern yet vintage” concept was chosen. In reality, it is simply a very good, very well built, warm-sounding studio microphone with an attractive price tag (and from what I can see, they have generous discounts very often). Someone who is operating on a budget looking for that hi-end studio sound should consider the V11. Accomplished pros have no reason to shy away from it, too. Granted, it is not made to compete with and function like more expensive studio classics, but it is so much more (I can’t stress this enough) than the price tag suggests. Find out more about JZ Microphones products.